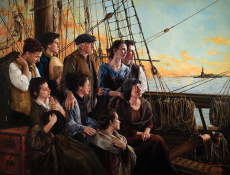 Elspeth C. Young completes new oil painting - "The Blessings Of The Fathers"
By Al R. Young The Blessings Of The Fathers is the newest oil painting to be added to the line of original artworks from Al Young Studios. 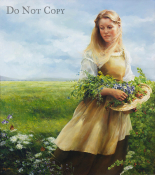 Elspeth C. Young completes new oil painting - "Sweet Land Of Liberty"
By Al R. Young Sweet Land Of Liberty is the newest oil painting to be added to the line of original artworks from Al Young Studios. 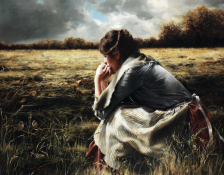 Elspeth C. Young completes new oil painting - "If God So Clothe The Field"
By Al R. Young If God So Clothe The Field is the newest oil painting to be added to the line of original artworks from Al Young Studios. Elspeth C. Young completes new oil painting - "Her Candle Goeth Not Out By Night"
By Al R. Young Her Candle Goeth Not Out By Night is the newest oil painting to be added to the line of original artworks from Al Young Studios. 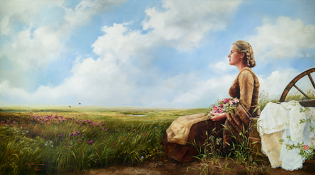 Elspeth C. Young completes new oil painting - "The Covenant of Peace"
By Al R. Young The Covenant of Peace is the newest oil painting to be added to the line of original artworks from Al Young Studios. Elspeth C. Young completes new oil painting - "The Pure In Heart"
By Al R. Young The Pure In Heart is the newest oil painting to be added to the line of original artworks from Al Young Studios. Elspeth C. Young completes new oil painting - "Behold Your Little Ones"
By Al R. Young Behold Your Little Ones is the newest oil painting to be added to the line of original artworks from Al Young Studios. 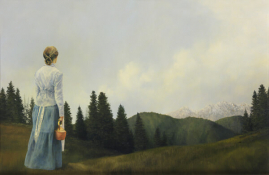 Elspeth C. Young completes new oil painting - "There Is Help For You"
By Al R. Young There Is Help For You is the newest oil painting to be added to the line of original artworks from Al Young Studios. Elspeth C. Young completes new oil painting - "A Labor Of Love"
By Al R. Young A Labor Of Love is the newest oil painting to be added to the line of original artworks from Al Young Studios. Elspeth C. Young completes new oil painting - "Carry On"
By Al R. Young Carry On is the newest oil painting to be added to the line of original artworks from Al Young Studios.